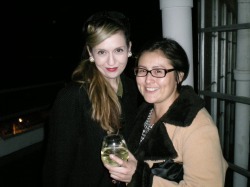 The first Wet Set Social was held October 9, 2009 At the Langham Hotel in Pasadena. Wet Set Social brings together the vintage community (people who live, love, and/or appreciate vintage lifestyle) to share your experience of vintage culture. Also to bring awareness to the fact that wet setting is a soon to be lost art form of hair. I created this event for us to personally share beauty tips on how we keep our look, where we like to shop, reproduction designers we know of, etc. 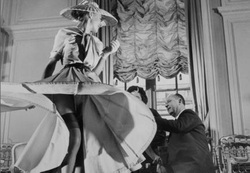 It's important to share this information considering a lot of vintage fashion from the 30s, 40s, and 50s are soon becoming picked over. A wet set social gives reason for everyone that loves anything vintage to get dressed up from their wet set to their peep toe. [set]- to place (the hair, esp. when wet) on rollers, in clips, or the like, so that the hair will assume a particular style. How to wet set-After setting a style when wet, heat to make completely dry. Then brush out desired coiffure. Holiday Wet Set Social December 2013. 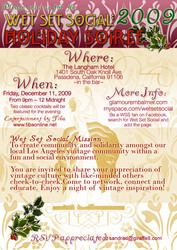 Dust off that fabulous dress and get ready for a Holiday Wet Set Social. We've have met so many beautiful people this past year. This time it;s Tiki Time! Celebrating our very own Kastle. She just graduated from marketing. Get decked out, with other like minded, in your best tiki vintage (or inspired) from your pincurls to your peep toe. Classic cocktails to be served. Wet Set Social IV... summer pool party. No need to worry about your wet set this time. 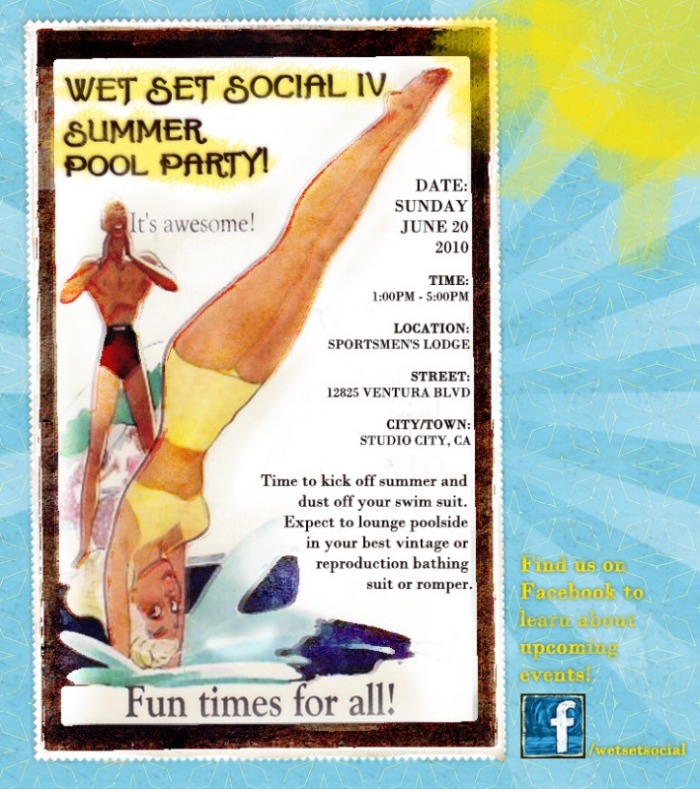 Wet Set Social IV will be at the Sportsman's Lodge pool in Studio City. 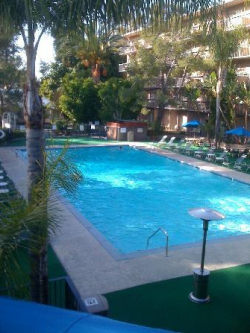 Time to kick off summer and dust off your swim suit. Have lunch and coktails with the girls. Expect to lounge poolside in your best vintage or reproduction bathing suit or romper.